Our thoughts are with all affected by Hurricanes Harvey, Irma and Maria, including some of our CSEA retiree members in Florida, Texas and other affected areas, and many of your loved ones. Whether you are in the process of cleaning damage to your homes, or are potentially responsible for storm cleanup through your job here in New York, it’s important to know what you need to safely clean damage at your work sites, communities and homes after severe weather. Remember, your employer is responsible for your safety in work-related cases. 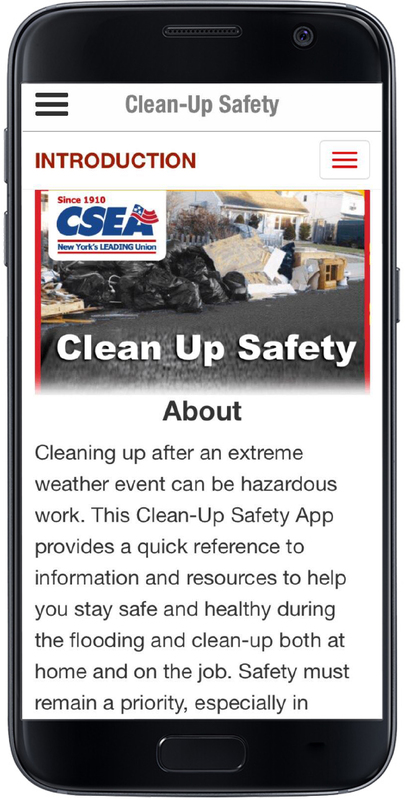 Our Occupational Safety and Health Department has numerous resources at hand to help guide you in safely cleaning up damage from your homes, including our free Clean-Up Safety smartphone App that you can download on iTunes or the Google Play Store. We also have numerous fact sheets available for you at cseany.org/osh/storm. 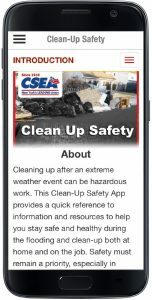 Also available for download is our Flood Clean-Up Safety flier, which has some great tips to help ensure you are as safe as possible as you get things back to normal after a storm.